Google recently extended its Google Lunar X-Prize deadline to March 31, 2018, apparently giving the five remaining teams a little longer to vie for the $20 million top prize. But there’s a mystery here that suggests two vying reasons for the change -- one sincere and the other cynical. The final answer may turn out to be a combination of both. 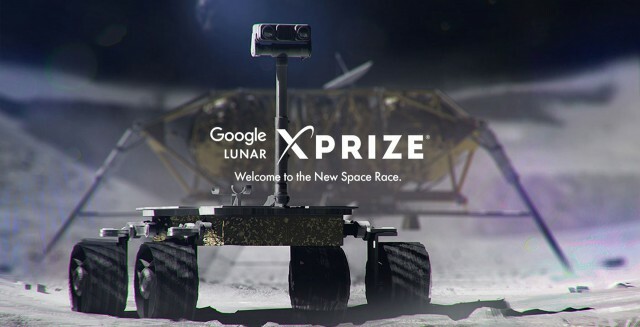 The Google Lunar X-Prize was announced in 2007, giving teams five years to put their landers on the Moon and drive around, sending back live HD video of the action. Though 30 teams eventually signed-up, none of them made it to the Moon by 2012. Or 2013, 2014, 2015, 2016, or so far in 2017. Each time the deadline was extended until Google finally said last year that teams had to launch into orbit by December, 31, 2017 or the contest would end without anyone winning the $20 million first prize. Then last week Google appeared to extend the contest once more, to March 31, 2018, by which date any remaining teams will have to have landed on the Moon. Google also threw in some new prize levels for completing parts of a mission but didn’t increase the total prize package. If we take this change on its face then it is all about helping two of the five remaining teams -- teams that might still have a chance of winning something with the extension and additional prizes for just making it to the Moon. If we’re cynical (and we do live in a very cynical era) it’s about killing the GLXP once and for all. The five remaining teams start with SpaceIL, from Israel, which most space experts would say is actually the most likely to eventually reach the Moon. With money in the bank and an assured launch, SpaceIL may reach the Moon, but not until 2019. American team Moon Express, for all its good press, doesn’t seem to have a working rover nor a viable ride to space since Rocket Lab, Moon Express’s New Zealand-based launch provider, has yet to make it to Low Earth Orbit (LEO), much less into some higher energy orbit from which the Moon could be reached by next March. Another team, Synergy Moon, has propulsion by Mojave-based InterOrbital Systems -- yet another launch provider offering trips to the Moon when they have yet to put any payloads in orbit. The remaining wild cards are TeamIndus and Team Hakuto -- Indian and Japanese teams with competing rovers riding on the same Indus lander. If the GLXP schedule change is sincere it may be to give these two a chance. TeamIndus has a ride to space on a very real Indian government PSLV rocket, but the launch, which was supposed to be on December 28, 2017, is now set for March 6, 2018. With a 10-day time en route, they might just land in time. And the new $4.75 million prize for landing on the Moon but not roving or broadcasting could be intended for the Indus lander by itself in case the rovers aren’t ready in time (news on this is sketchy). Now for the cynical alternative explanation. After a decade with no winner Google just wants to forget about this contest and move on. Three generations of Google management have come and gone since 2007 and the current team in Mountain View holds little love for the GLXP. But finally ending this nightmare (for some) might not have been possible under the previous terms requiring a December 31 launch. Under that rule any of the teams could strap an ion thruster to a cubesat and send that payload on a slow trip to the Moon taking many years to complete. No closure in that. This new rule eliminates that possible loophole. All the other changes in this scenario, then, are just for show. The prize will die as planned on March 31, 2018. And the whole reason for this "extension" was to make sure that happens. Which version do you think is closer to the truth? Either way, here is how close the Google Lunar X-Prize is to being over. The only teams with a hope of still winning are Team Indus and Team Hakuto. ISRO, the Indian Space Research Agency that is scheduled to fire their joint lander on March 6, requires all space hardware be delivered for testing six months prior to launch. This is a very common requirement in the space industry. Six months before March 6, 2018 is October 6, 2017. So if -- just IF -- these teams are actually going to land on the Moon and win $20 million, they have 43 days left to finish their work.